Wardley Goldfish Food Flakes with natural colour enhancers for all varieties of goldfish. 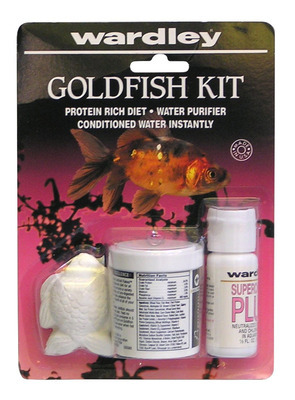 Wardley Goldfish Neutraliser for dissolving, neutralising, and conditioning your water. Wardley Superchlor Plus to effectively neutralise chlorine, chloramines, as well as heavy metal ions such as copper, zinc, and iron. Fantastic to start your Goldfish bowl.